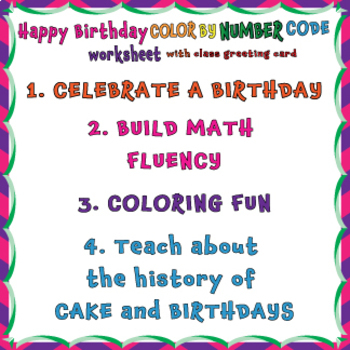 Build Math fluency with a HAPPY BIRTHDAY COLOR BY NUMBER CODE activity with a birthday greeting card! 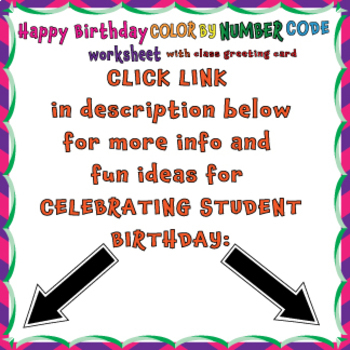 To see more information on this activity and GET 20 IDEAS TO CELEBRATE STUDENT BIRTHDAYS IN THE CLASSROOM - CLICK HERE! 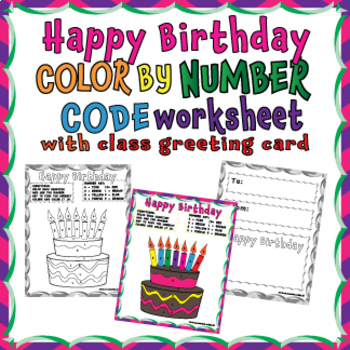 birthday or another teacher’s; a friend’s or family member’s.